The Rotary Club of Guelph is having their annual Canada Day Celebration in Riverside Park! 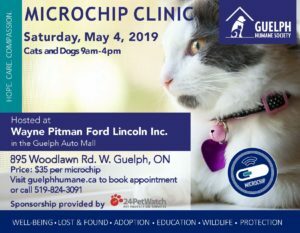 Swing by the Guelph Humane Society’s information booth at the Vendor Marketplace! This family event will be a fun-filled day with live music, rides, food trucks and fireworks to follow in the evening.